Salt cave therapy can help treat some types of skin conditions. Sufferers share their experiences here. Overall, I’m very pleased with how the salt cave treatment is impacting on the psoriasis. 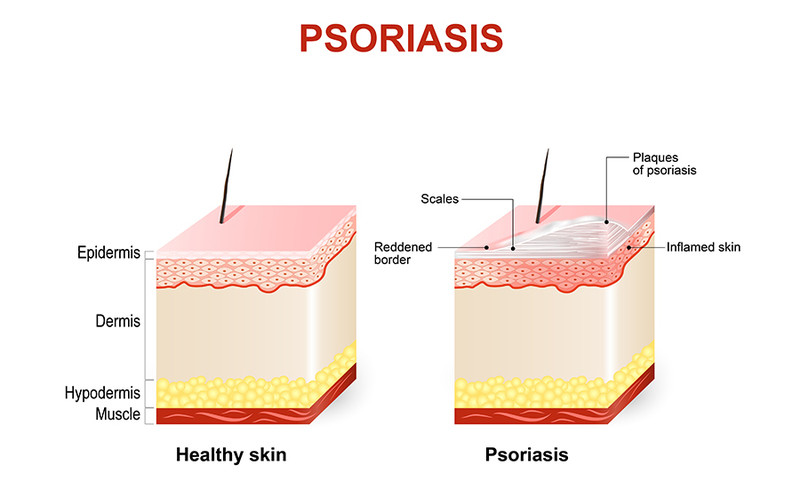 It is fading in redness and less and less protective skin is being produced, so the psoriasis doesn’t look so fierce and indeed sore. I would now be more comfortable wearing sleeveless tops at the moment, which is a plus! David will be taking more photos tomorrow, which I believe will tell an encouraging story. I decided to go the salt cave particularly for my skin. I have had a five star experience – amazing! Once I had my first session, my breathing instantly felt better and my skin was less itchy. I am quite impressed since I have only had one session! My friends will definitely hear about this! My skin is definitely less irritable. I have two terrible skin issues, acne and psoriasis, neither of which seem to respond to ‘traditional’ treatments or remedies. After countless evenings of research into possible cures, I stumbled across salt therapy and read a number of testimonials from people claiming benefit from a number of issues, not just skin related. I decided what the hell, I’ll give it a go as I have nothing to lose. It can’t be any worse than anything else I’ve tried. My first trip to Little Himalaya salt cave was last November and I’ve been attending regularly since (about once a fortnight I’d say). My first few sessions were immensely relaxing and I came out feeling less stressed about things but sadly with no real improvement in my skin. However after persevering with the therapy- all the testimonials I’d read implied that the effects do take time to feel- I am slowly starting to see some tangible benefit. It’s the sort of improvement that no-one else would likely notice but I am sure that my skin has begun to look better in the last month or so. It was actually my close friend that first alerted me to this, mentioning the other evening over drinks that I had more of a glow and also that my chin (a constant magnet for my acne) looked clearer. She’s now thinking of coming to the salt cave with me as she suffers from it herself a little as well. All in all, I do think salt therapy can help with skin problems and I will be continuing to visit Little Himalaya for the foreseeable future. Dry skin is a persistent issue for me and I feel that regular doses of Halotherapy seem to help somewhat. I’ve read that the salt helps to open up pores which allow more moisture to be retained. It makes sense as I do think that this is making a difference to me. I suffer from terrible Acne and found out about Kenilworth’s new salt cave from a friend. I have read testimonials from people who have benefitted from halotherapy for skin conditions and thought that it couldn’t hurt to give it a go. I’m pleased to say the salt cave seems to be making a slow but sure difference to my acne. I’ve had a batch of 5 sessions and my condition does seem to be improving somewhat. I will keep going to Little Himalaya in the future for sure.